Headlines, hot news, and conversation starters on June 12, 2017! 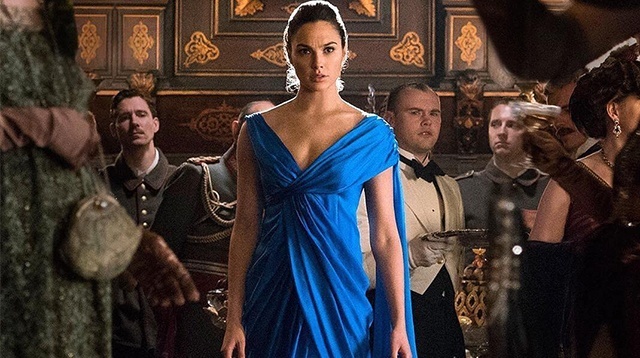 1 Last week, we found out that Gal Gadot is actually a real-life Wonder Woman for shooting while five months pregnant! Gal told Marie Claire that she didn't tell her coworkers about the pregnancy because she didn't want special treatment. Say what? She discreetly threw up and hid her migraines: "I gutted it out. I started to come to set with sunglasses. I had this jug of water with huge pieces of ginger. One of the producers kept on asking, 'Why are you drinking that potato water?' They thought I'd gone Hollywood." 2 Jessy Mendiola reunited with her father after four long years, only a week before Father's Day. Their first emotional reunion was in June 2014. We're happy for you, Jessy! 3 It's been eight years since Kanye stole Taylor Swift's ~big moment~ at the 2009 VMAs, and we still cringe every time their names appear in the same headline. Well, then-MTV chief Van Toffler spoke to The Hollywood Reporter to dish about what happened backstage: "When Kanye walked up onstage with Taylor that year, it turned out that Taylor had to go onstage to do her song five minutes later. I ran out of the truck to see that everything was all right, and Taylor and her mom were crying hysterically. I'm not always wonderful with emotions. I didn't know what to say. Then I went backstage, and Beyoncé was crying, too." 4 Selena Gomez has definitely been one busy bee. Now that she's (kinda) done promoting 13 Reasons Why, Sel's been focusing more on her music. In an interview with Radio Disney, Sel revealed, "I've been in the studio for over a year. I took a break last year for myself to figure out where I wanted to go creatively, and it was good. When I did that, I came back and I had it for a while, and I think it's safe to say I feel like I have a whole album put together at this point. But, I wanted to make sure everything was done at my pace. I didn't want to rush anything. I wanted to make sure my life was balanced and happy and healthy first." But how does The Weeknd factor in? Selena told Ryan Secrest in a separate interview, "Because I've been doing this for so long, I don't feel like there's anything that I would want to…not necessarily hide, but I'm genuinely myself. I think it's really hard when I would want to spend so much time hiding things. It's too much pressure, and I think everyone gets over everything eventually. I just want to be happy. If that's me just being myself, then I don't really care." You do you, Sel!